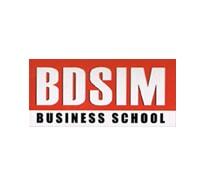 BDS Institute of Management is an eminent college located at the origin of Meerut, Uttar Pradesh. The site of this campus is established in the year of 1996, for the incredibly talented candidates of Uttar Pradesh. The premises of the institution are spread over the zone of 65 acres with the AICTE approval. Apart from this, the college offers several facilities options such as Hostels, Computer Lab, Medical Facilities, Canteen, and other academic amenities. The campus zone of the academy offers sophisticated and urbanite surrounding in terms of academic activities and cultural fests. Discussing more about the courses offered by the college, the BDS Institute of Management runs bachelor’s and master’s course in the subjects like Bachelor’s of Business Administration (BBA), Bachelor of Education (B.Ed), LLB, Master’s of Business Administration (MBA), Bachelor’s of Computer Application (BCA), and BA+LLB (Integrated). The BDS Institute of Management, Meerut is accredited by the Bar Council of India. The land of the campus is recognized and acknowledged by the All India Council for Technical Education (AICTE). This private institution is associated with the Abdul Kalam Technical University, Meerut. The BDS Institute of Management aims to circulate the excellent career opportunity in the industries like law, management, teaching, IT Sector, and more. The college nurtures and endeavors the talent and creativity of the students by simply providing them a surrounding under highly qualified faculty members and teachers. It has numbers of magazines, books, and journals at the college library to help aspirants in gaining knowledge about the world. To aid candidates in law-practice, there is an assortment of case studies and research papers. Besides, students also get access to sports complexes, ATM, market and medical facilities within the property zone. Admission seekers who want to confirm a seat at the premises of BDS Institute of Management need to apply online from the official site of the college. In order to facilitate career opportunities, the academy offers so many benefits to the enrolled students. Companies like Toyota, Mahindra, Airtel, ICICI, and many more have joined hands with BDS, Meerut. The college is accredited by the BCI. It has an affiliation with AKTU, Meerut. The campus zone offers Co-Ed surroundings recognized by AICTE. This specialized university offers a platform to learn new things under the guidance of professionals. The campus amenities serve the best possible outcome in terms of Cafeteria, Hostel life, Wi-Fi enables support system, Auditorium, and other advanced services. The ground of BDS Institute of Management offers a subtle and dedicated environment for the knowledge gainers. This reputed college of Uttar Pradesh area works like a catalyst for the potential candidates who want to achieve something big in life. The college is popular for its teaching methods and techniques which enables students to understand a wide exposure and in-depth information of the respective course. At present, the college grounds offer 5 Undergraduate and 1 Postgraduate program for the students of Uttar Pradesh origin. BBA, B.Ed, LLB, MBA, BCA, and BA+LLB (Integrated). The prominent campus zone of BDS Institute of Management assigns various bachelor’s and master’s programs in the college for the residents and non-residents of the Uttar Pradesh. The process of admission in the premises of BDS Institute of Management will be done on the basis of eligibility guidelines set by the institution. Interested admission seekers can take admission simply by completing the basic eligibility criteria norms. This Meerut located university offers multiple UG and PG courses in dual specialization. Scroll down this article to understand the criterion of eligibility and other important processes here. A candidate needs to be graduated with minimum 50% marks in any discipline. Passed class 12th boards in any subject with at least 45% marks, whereas, mathematics must be one of the main subjects. Passed class 12th with 45% marks in any discipline. Must be graduated or post graduated with at least 50% marks in any discipline. A student should have completed Class 12th from a recognized board. Students should have completed 10+2 from a recognized board to become eligible for admission in the BDS Institute of Management, Meerut.